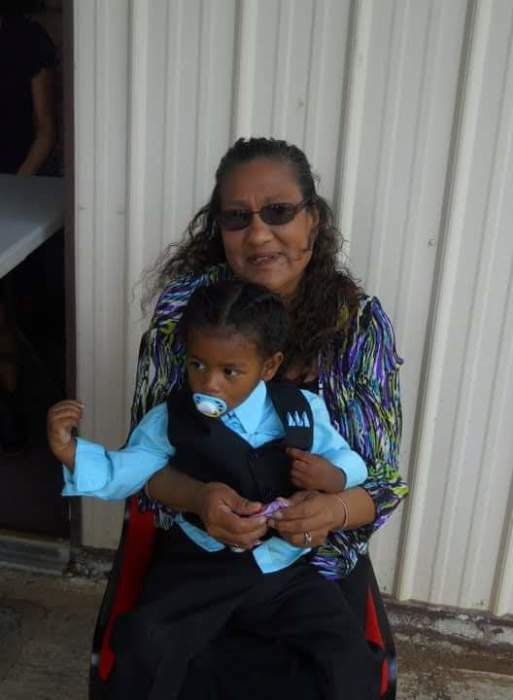 Eunice Gail Almaraz age 58, of Broken Bow, Oklahoma went to her heavenly home on Friday, March 22, 2019. She was born on April 27, 1960 the daughter of John and Christie Maytubbi. Eunice loved to cook, sew, and going to ball games and enjoyed spending time with her family and friends. She loved her church Abundant Life Fellowship in Pickens. Eunice was preceded in death by her parents, John and Christie Maytubbi; brothers, John Wayne and Quincy Maytubbi; and sister, Isabelle Ludlow. Eunice leaves to cherish her memories a brother, Floyd Maytubbi of Battiest, Oklahoma; sisters, Gwendolyn Maytubbi of Broken Bow, Oklahoma, Ann Cameron and husband Randy of Battiest, Oklahoma; and a host of nieces and nephew’s other relatives and friends. A wake service for family and friends will be on Sunday, March 31, 2019 from 4:00 to 6:00 P.M. at Bunch-Singleton Funeral Home Chapel in Broken Bow, Oklahoma. A Celebration of Life will be held on Monday, April 1, 2019 at 2:00 P.M. in the Bunch-Singleton Funeral Home Chapel.